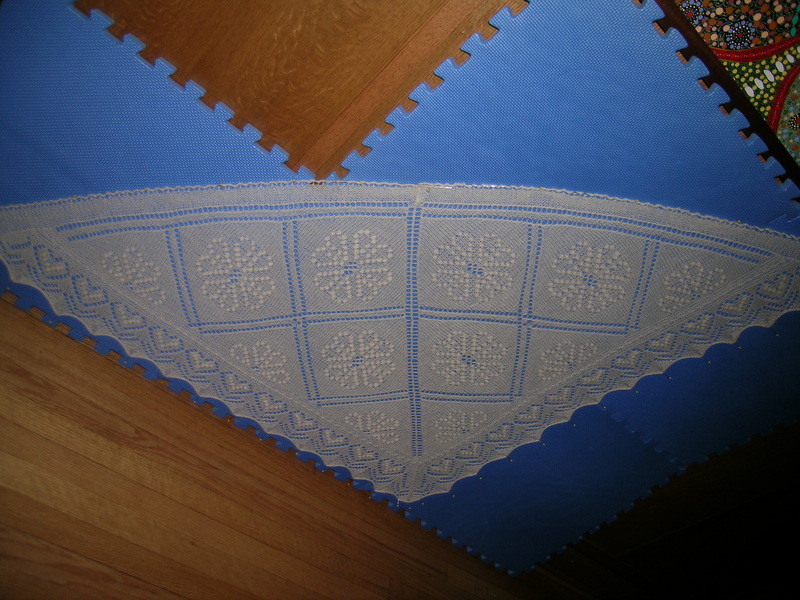 The Great shawl is finally finished and blocked. 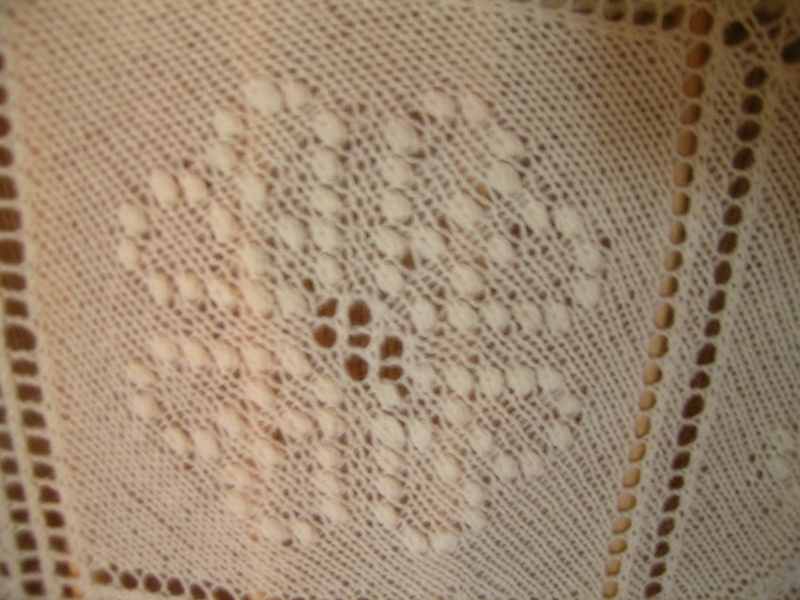 The pattern was not a disappointment either in the knitting or the end result. 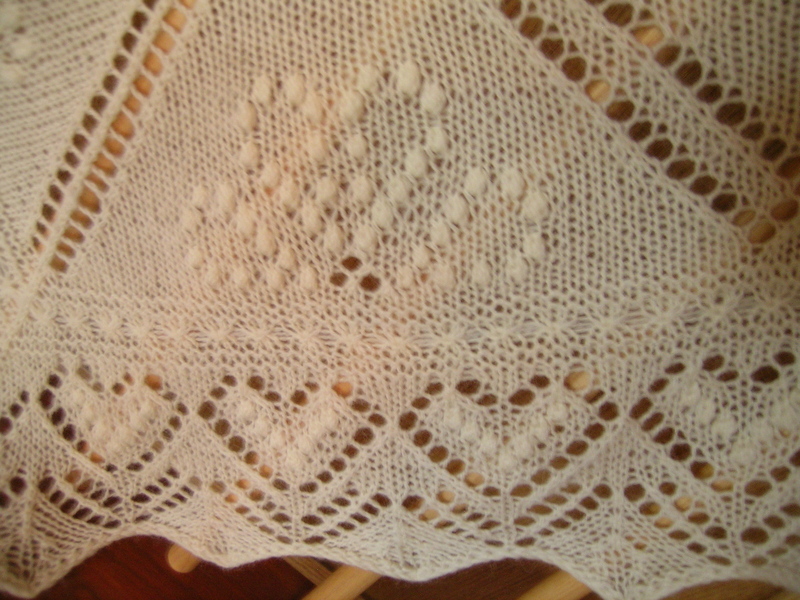 This is a really beautiful pattern, and I would like to repeat it some day with my handspun. 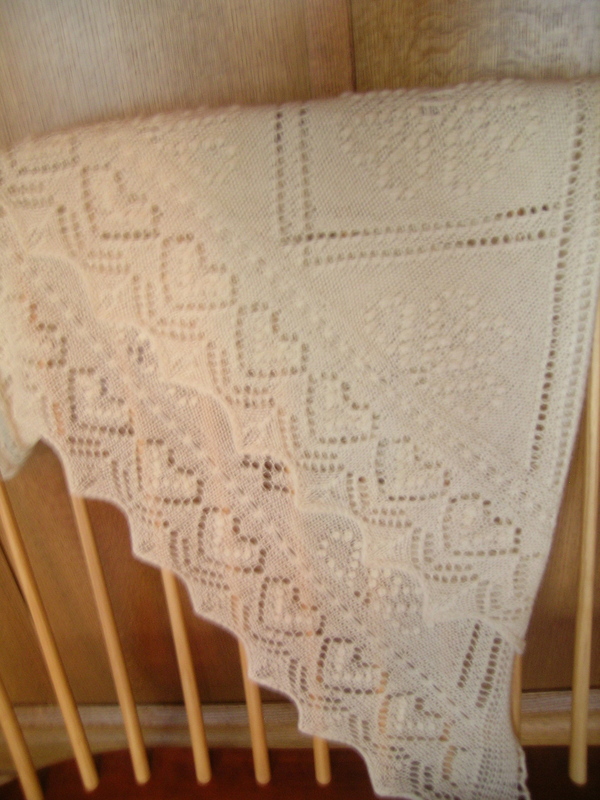 My only comment would be that I wish the yarn had been a finer lace weight. Wow, this is lovely! 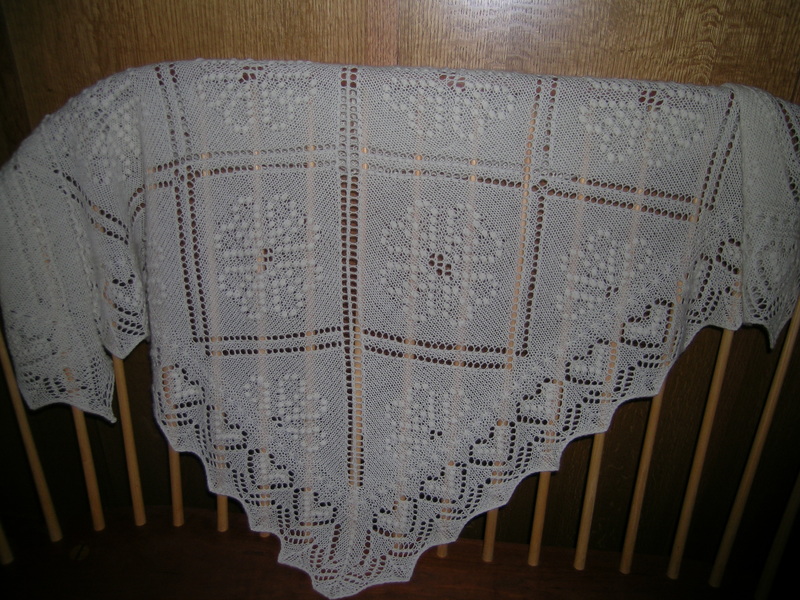 I give you ladies who do lace shawls so much credit and think you are super talented!!! I just can’t do it! Love this! My arms are retaining the sense memory of touching this glorious thing.